Sping is here and so are the beautful pastels of the season. 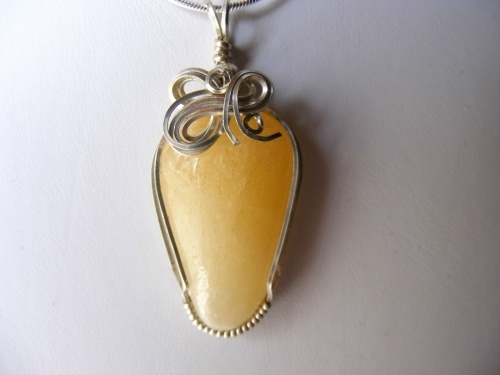 This honey jade stone is so pretty with its sculpted sterling silver swirls. Measures 1 3/4" from top of bail to bottom and 3/4" wide. Comes with a sterling silver snake chain.